DUBAI: In a recent development, cricket umpires have been empowered to eject disobedient or misbehaving players while tethered bails will be permitted to protect wicket keepers from eye injuries as part of a series of law changes that will come into effect from October 1, 2017. The new ” Players’ conduct” rule will allow on-field officials to remove a misbehaving competitor temporarily or permanently and award five penalty runs to the opposition, the Marylebone Cricket Club (MCC) has said. If a captain refuses to remove his offending player, the umpire can award the match to the opposition. If both captains refuse to comply, the contest can be abandoned. The MCC, the custodians of the game’s laws, also merged “handled the ball” offence with “obstructing the field”, thus reducing the number of possible dismissals from 10 to nine. It also ratified the proposal of tethered bails to protect wicket keepers from the type of injuries that ended South African Mark Boucher’s career in 2012. Boucher was hit in the eye by flying bails in a tour match in England, which forced him into retirement. Law 8.4 has been changed, to help prevent injuries, to allow specially designed mechanisms which tether the bails to the stumps, thereby restricting the distance that they can fly off the stumps but without limiting their ability to be dislodged, the MCC said. 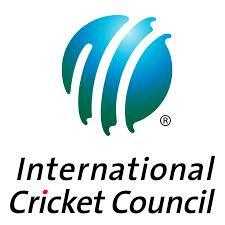 The MCC also approved bat restrictions and allowed substitutes to keep wicket.